Now that we’re lucky enough to live in North Devon again, I thought I’d share some of my favourite places to go along the beautiful North Devon coast. Last week we drove over to The Valley of the Rocks. The drive there is stunning, taking us through parts of Exmoor with rugged views of farmland, fields, the river and sea. It looked great the other day, under a bright blue sky, with the prolific yellow gorse everywhere. 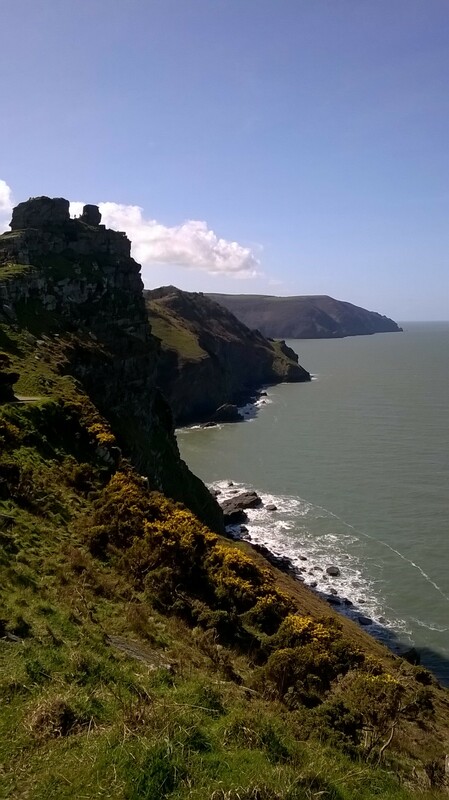 As you drive into the Valley of the Rocks, the scenery is dramatic. You find yourself with steep inclines on either side, large boulders and stones scattered across the landscape. As you approach the coast path, there’s an impressive stack of rocks to one side, which the brave and energetic can climb, to be rewarded with a panoramic view out to sea and along the coastline. In both directions, you can glimpse bays and cliffs – last week I heard a walk guide claiming ‘you can’t get a better view anywhere in the country!’ and he had a point. The colours and textures, particularly when the sun is shining, are breath-taking. The weekend we were there, we were slammed with a bracing wind, but once on the path we were more sheltered and the sun against the cliff warmed us up. 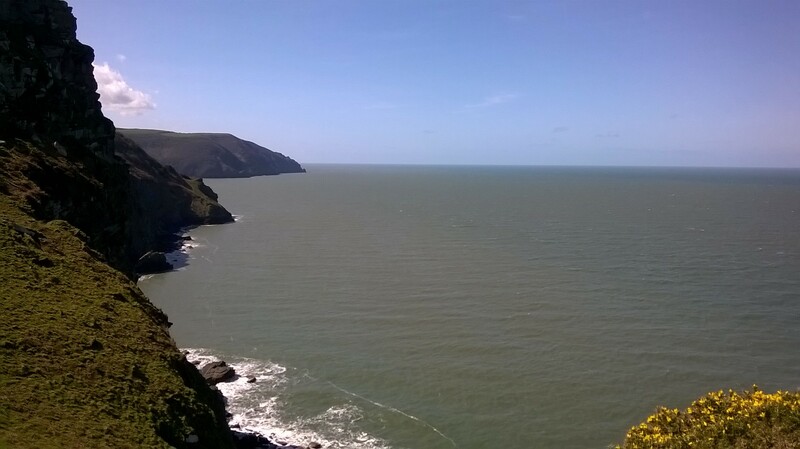 We took the path towards Lynton, where we’ve previously seen dolphins and seals. 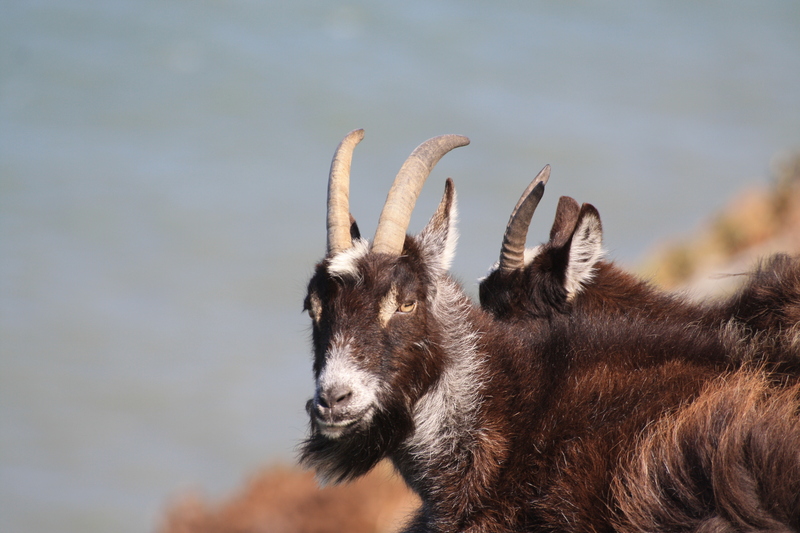 Today, the wildlife wasn’t quite so exciting, but we did see some of the mountain goats that are common there, and lots of sea birds. 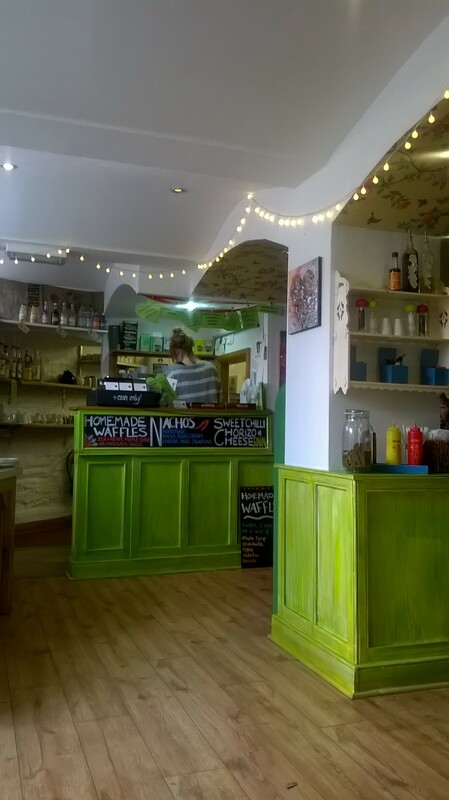 A favourite cafe there is Charlie Fridays, which is dog friendly and sells fair trade tea and coffee, but there are plenty of other cafes and restaurants to choose from. 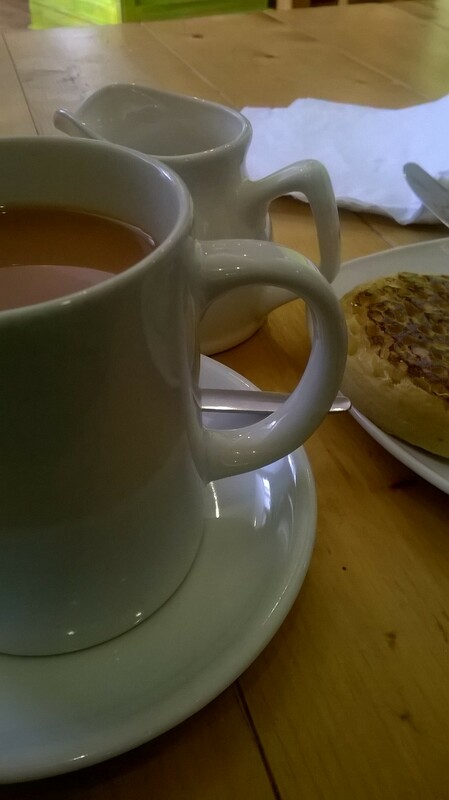 We managed to claim the Charlie Fridays’ sofa, and enjoyed tea and crumpets there. There’s a lot more to see and do in the area than we did the other day. Nestled in the Valley of the Rocks is Lee Abbey, a Christian Retreat Centre with a pebble beach that you can walk to. Just before you reach the beach, there’s a cave made into a small chapel. They also run a tea cottage during holiday seasons, which serves a good cream tea. 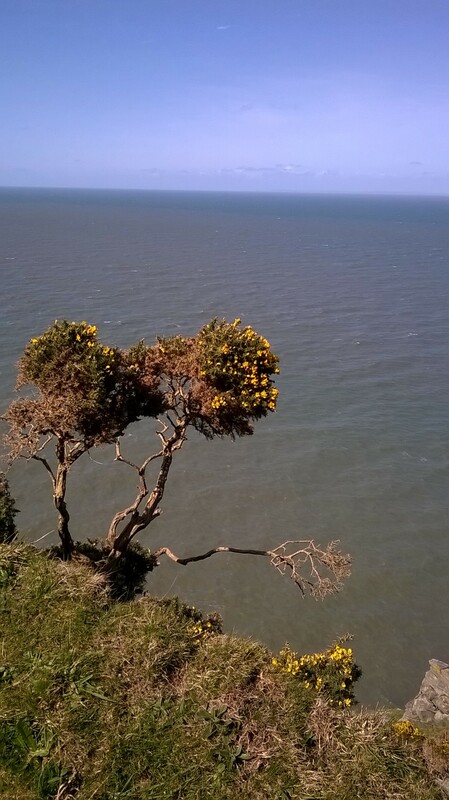 You can walk or drive around the coastline to Woody Bay, a beautiful pebble beach, where you can often find yourselves alone, and from Lynton, you can take the cliff railway, walk or drive down to Lynmouth, and from there take the beautiful river walk to Watersmeet.